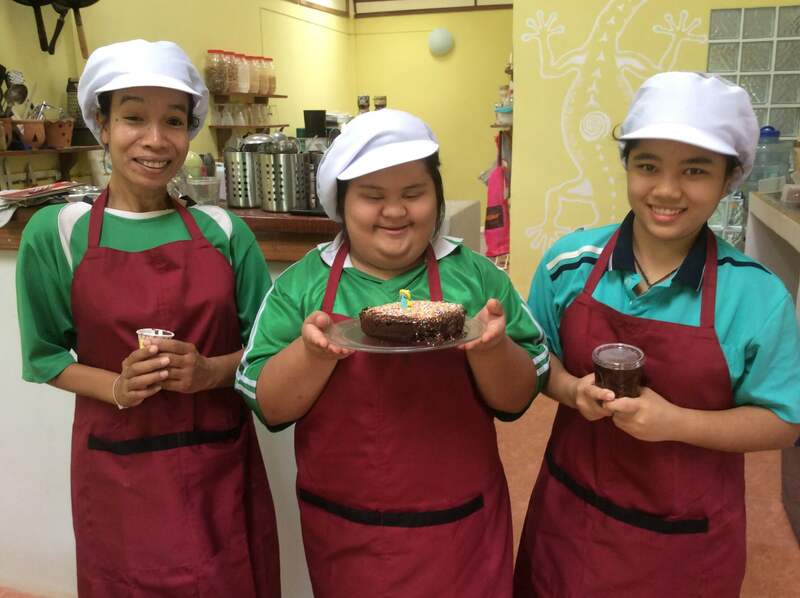 The Thai Child Development Foundation (TCDF) supports local children in their development by making sure that customized medical care and education is also available to underprivileged children and children with disabilities or learning disorders. At TCDF they believe that the social outreach work can only be done well by working with local people who can develop a long-term bond of trust with the children and their caregivers through constant communication. International and Thai volunteers open up the worlds of the children and the members of the forest community by sharing their (often unique!) skills and knowledge within the community learning center, yoga center and/ or on the organic farm. TCDF try to limit damage to the environment. They are strict in handling garbage, reusing garbage, and recycling. Eco-Logic, Resort for Charity with tourist accommodation, workshops, and tour packages, is on the same property of the Foundation. This sister company of TCDF is a Thai for profit company and is TCDF's main sponsor. TCDF is founded by a charitable Thai/Dutch family and has supported children in need on a direct and day to day base in Thailand since 2004. Ingrid van der Straaten has been TCDF’s full time volunteer and ambassador since the very beginning when she, and Rosalie decided to make a difference and dedicate their lives to this initiative! The other TCDF's directing founder, Rosalie Tieges, lives with her Thai family within walking distance of the Foundation; other Dutch board members live in Holland.The TCDF Community is a global network of people that believe in acting local and contributing to make a difference. The Thai board members are all people from the village including the village headman and active parents of children in the social programs.